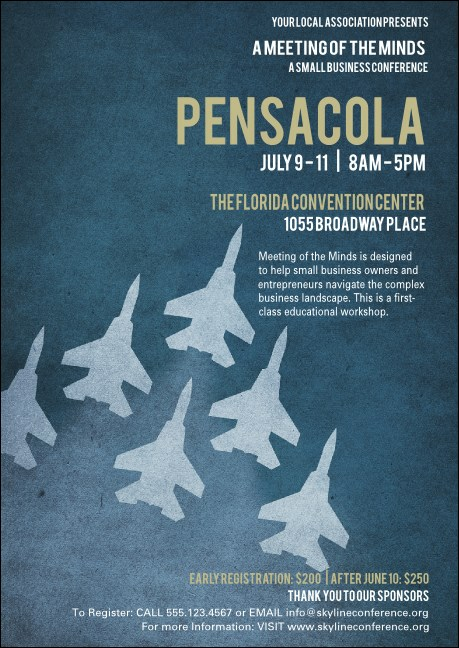 Enhance the quality of your next P-Cola event with this aviation-themed Pensacola Postcard. Printed on high quality card stock, this postcard showcases jets in formation with a vibrant blue background. With plenty of room for all of your event details, this postcard covers it all for your Emerald Coast event! Send the right message for your event with the right postcard from TicketPrinting.com.